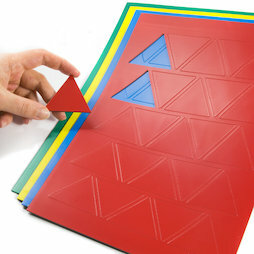 Large magnetic triangle symbols made of colourful magnetic sheets serve as eye-catchers or to highlight content on whiteboards, planning boards and other magnetic surfaces. Also perfectly suitable for planning and project management since they can be moved around and repeatedly labelled with water-based markers. 1 pc. 34.95 CHF ea.